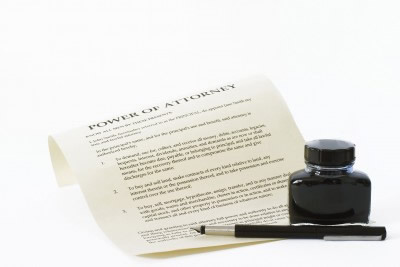 A Power of Attorney is a legal document in which the granter authorises someone else to do certain things on the granter’s behalf as if the granter had done them. This might simply be where the granter is going abroad and wants to leave authority to deal with their affairs while he or she is away or is unable to deal with the matter personally for some other reason. Other special types of Power of Attorney were created by the Adults With Incapacity (Scotland) Act 2000 which specifically authorise the Attorney to deal with the granter’s financial affairs and to continue doing so even though the granter subsequently loses the capacity to handle his or her own affairs, these powers frequently although not necessarily being combined with welfare powers authorising the Attorney to make decisions about matters pertaining to the granter’s health, residence and personal welfare in circumstances where the granter has lost the capacity to make such decisions. These Powers of Attorney are known as Continuing and/or Welfare Powers of Attorney and, to be valid and effective, require to be registered with the Office of the Public Guardian (Scotland). They can provide a useful way of authorising a trusted relative, friend or other person to deal with a person’s affairs and can help alleviate some of the consequences of getting older and less mobile as well as providing a legal means of continuing to look after a person’s interests once they are unable to do so themselves and, as such, continuing and welfare powers of attorney can form a useful part of forward planning to ensure arrangements are in place which will allow one’s affairs to be dealt with whatever the future holds. In such circumstances, where no power of attorney exists, relatives or others may have no alternative but to seek a guardianship order from the court to enable their relative or friend’s affairs to be dealt with at considerably greater expense than if a power of attorney had been done. An initial consultation can provide further details of the procedures and costs involved.